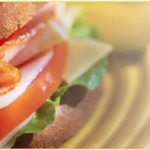 Breakfast all Day and Lunch – Bratwurst Coffee – Pastries, cakes and Rum Cakes and more.. 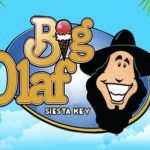 The Daiquiri Deck Siesta Key is even more fun after dark! There’s never a dull moment with great Live Music featuring a variety of local artists, Sporting Events, Competitions like Beer Pong and Corn Hole, and many Special Events and Drink Specials. 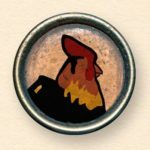 You’ll never be bored again! 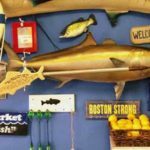 A retail fish market that specializes in fresh, wild, Florida seafood.Whether you live here or you’re visiting beautiful Siesta Key, visit the Big Water Fish Market for all your FRESH seafood needs. Enjoy seriously good food in this casual family friendly garden restaurant. Voted BEST BREAKFAST, BEST LUNCH, BEST OUTDOOR DINING & BEST BACON for 7 years straight! 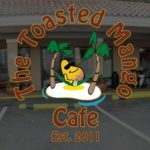 At The Toasted Mango Cafe you can enjoy a full dining experience, delicious fresh food fast, in a clean, cheery restaurant, served by friendly helpful people, at a reasonable price. Both locals and vacationers return year after year to enjoy Florida’s best homemade ice cream. They have so much more than just ice cream, they make homemade waffle cones and fudge in house. They also have soft serve, smoothies, blended coffee drinks, and hand spun milk shakes. Another Broken Egg Cafe offers exceptionally unique creations, ranging from new twists on Eggs Benedict and Gourmet Omelettes to unbelievable Biscuit Beignets, Cinnamon Roll French Toast and so much more. Featuring inventive, seasonal cuisine from around the world; utilizing local farms, sustainable meats and seafood. Foodies serving foodies with a passion for craft in the heart of Siesta Key Village. The French restaurant for your breakfast, lunch, or dinner! 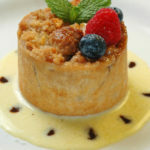 Fresh French Cuisine awaits to tantalize your senses, lift your spirits and provide a home-away-from-home atmosphere. 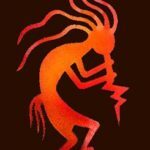 Since it opened in 1988, Ophelia’s on the Bay has remained, at its core, a place for friends and family to gather to celebrate life, fun, and unique and flavorful food. But that’s just the beginning. They guarantee that their fish is the best you will ever taste. 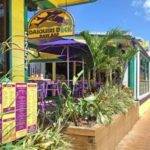 With outdoor seating to drink and dine at one of Sarasota’s favorite restaurants, it is full of local flair and the freshest seafood in town! 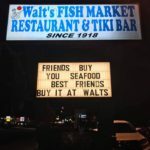 Stop on in and see why Sarasota is “hooked” on Walt’s! Go enjoy Southern dining, locally crafted with love. 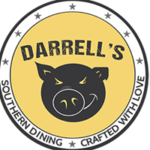 Darrell’s, where everything is crafted with a whole lot of love and always served with a smile. We are the most experienced outfitter for kayak tours and kayak rentals in Sarasota, Bradenton, Siesta Key, Longboat Key, Anna Maria Island and Venice. © 2019 AdventureKayakOutfitters.com. All rights reserved. Internet marketing campaign developed by the Sarasota marketing company Webtivity Designs.